Microsoft has been testing the product for the past year – it is based on technology developed by web analytics provider DeepMetrix, which was acquired by Microsoft in May 2006. 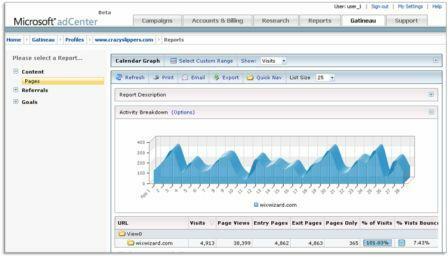 Features include outbound link tracking, ROI reports, funnel reports and conversion tracking, as well as others mentioned by Ian Thomas of Microsoft in his blog. Gatineau can also provide demographic data, something which the company hopes will give it an edge over the competition, particularly, of course, Google Analytics. Users can be segmented by age or gender, with the information taken from their Live IDs. Microsoft is now accepting applications for beta testing, though the service is currently only available to US users. 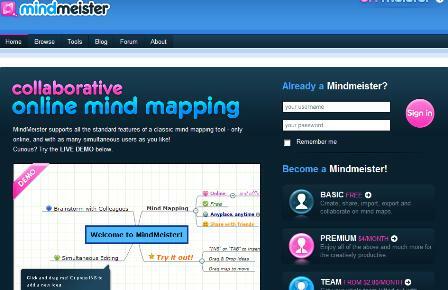 Mindmeister is an excellent online mind-mapping tool which allows users to brainstorm and organise plans and ideas. After working on email marketing for many years, I have certainly seen many examples of the good, the bad and the ugly, with many unfortunately falling into the latter two. However, one brand is leading the way with an email newsletter that has kept me hooked for nearly two years with fresh and engaging content.